I’ve been recently making my way through the newest Tomb Raider game, Shadow of the Tomb Raider. I’ve been spending more of my game time pondering why I’m not digging this entry as much as the previous two than actually focusing on the digital world in front of me. I usually take that as a bad sign: the game isn’t bad outright, but sizable chunks are not clicking with me. I feel like I’m forcing myself to play it. I reviewed the previous two Tomb Raider games for different sites and feel pretty in touch with the latest iteration of Lara. I usually devour these games with an appetite that can only be satisfied with every tomb raided and every collectible found. This game’s inability to sink its teeth into me sparked a more interesting (I think) train of thought. Bear with me. Shadow of the Tomb Raider was developed by Eidos Montréal, the developer of the recent Deus Ex games, with some help from the previous games’ developer, Crystal Dynamics. This is most likely due to Crystal Dynamics working on an untitled Marvel’s Avengers game (interestingly, Eidos Montréal is providing assistance on the Avengers project). I can’t help but feel that the bits of game design in Shadow of the Tomb Raider that aren’t jiving with me are a result of a new lead developer. This isn’t to say Eidos Montréal is a bad dev team — far from it in fact — but it makes some sense to me. As a team of new developers working in an established run of an even longer-established franchise, design philosophy not seen in these games before will often contrast sharply with its creators that usually make entirely different games. The return of a (read: my) beloved franchise was a major highlight of E3 2011. Sucker Punch was well past Sly as they were working on the third inFamous game, and Sanzaru Games took the thieving raccoon’s reigns for his biggest outing to date, 2013’s Sly Cooper: Thieves in Time. The best compliment I can give Sanzaru is that they captured the spirit of the Sly Cooper franchise. The design was the logical next step for a PS2 era mascot: the worlds felt alive and dense, while keeping charm. It felt like Sanzaru clearly studied Sucker Punch’s own game design Thievius Raccoonus and mastered it. Where they got to spread their wings was in the additional playable characters and alterations to Sly’s lore. 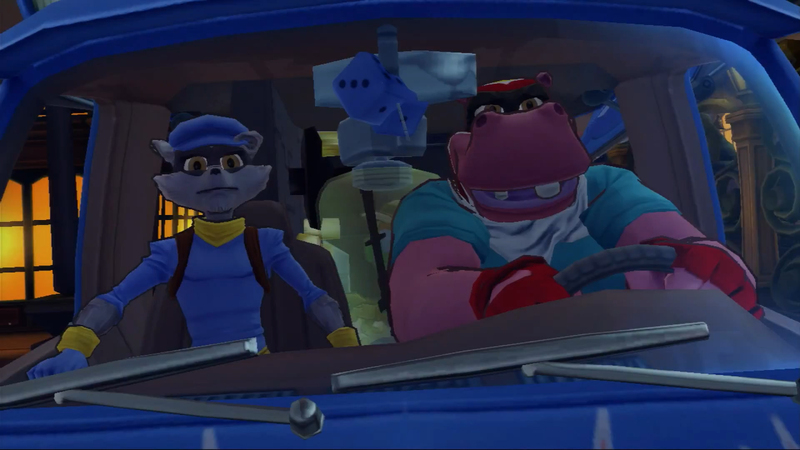 Ever since Sly 2: Band of Thieves, the series has featured multiple playable characters. Where Thieves in Time shines is with the ability to explore Sly’s ancestors and their feel. These unique characters in vastly different eras let the feel for Thieves in Time be distinct, and Sanzaru fleshed the series out through more than cutscenes with these fresh mechanics. To be up front, I’ve never played Arkham Origins: a pal lent it to me and I never installed it. Word got around to me that the game was riddled with bugs more so than Riddler trophies. My thinking was, “Since it isn’t Rocksteady, it doesn’t really count.” Clearly, Warner Brothers had the same train of thought when the publisher recently put out a current-gen remaster called Return to Arkham without Origins being included at all. 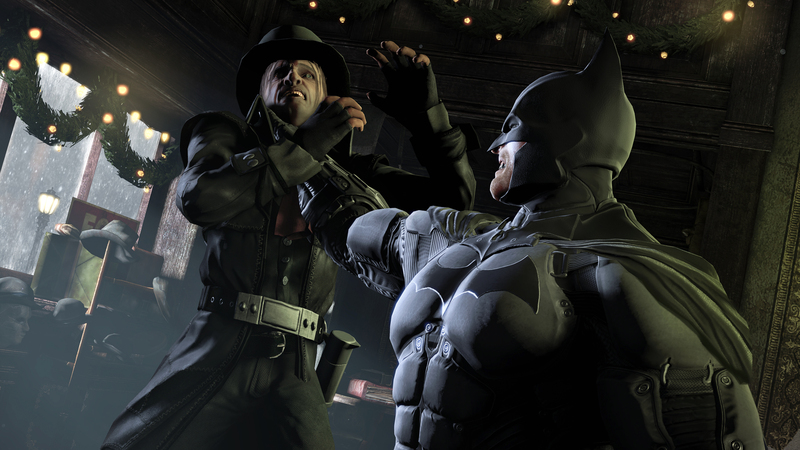 The game was set as a prequel to Rocksteady’s trilogy (more terminology the Internet came up with to separate Origins from the rest), and according to reviews published at the time, Origins was pegged as a seemingly unpolished game with gritty boss fights, but an empty, lifeless Gotham. There was a multiplayer mode too, and its presence reminded me of that era in gaming where it felt like every game had to have a multiplayer mode. Origins has its fans, but has been treated like the black sheep of the Arkham series. As the lowest scoring Arkham console game on Metacritic with a 76 (for PS3), Origins appears to live in the shadows of people’s memories and Warner Brother’s vault. It’s not entirely WB Games Montréal’s fault: I bet Warner Brothers’ publishing division wanted some sort of Batman game out to fill the gap before Arkham Knight‘s release in 2015 and gave their own studio a chance. Banking on the success of the previous two games and the staying power of the Dark Knight himself, Origins was probably a money move more than anything else. 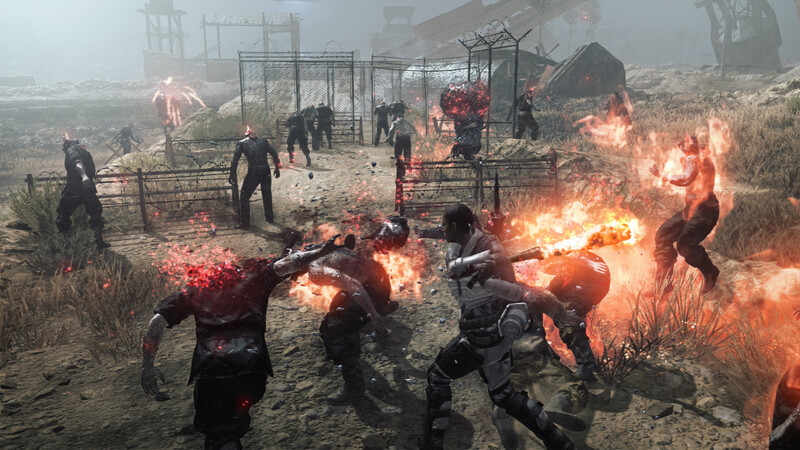 By far the worst case I have ever played, Metal Gear Survive is an unfortunate twisting of a superb game engine with a trashy execution. After a very ugly and public break-up, famed developer Hideo Kojima left Konami after the release of Metal Gear Solid V: The Phantom Pain in 2015. Konami owned all of MGSV’s tech and decided to take their multi-million franchise out for a spin, like a rebound hook-up. Survive’s shtick was that it was a horde mode and a tower defense game mashed together with a sprinkle of RNG. In other words, it was a polar opposite to the franchise-name slapped on the box. The story was an abomination with equally shoddy voice-acting though the gameplay mechanics were actually pretty sound, simply because they were pulled directly from MGSV. The end product was a clear indicator that the Metal Gear franchise was no longer in its creator’s hands and it would be whatever Konami thought would sell. I led into my two cents on these three games with a few questions, and I really don’t think I came close to answering them on a general scale. Each game in these series is unique with different reasons behind it for why they do and don’t work in coming from a different developer. I do find, at a glance, that most outside attempts at making new entries in long-running series are met with hesitation and received with probably more criticism than they deserve on the outset, as there are often gems met with respect and innovation. For new developers and studios taking on a well-known property, it must be a difficult responsibility to balance the old and new while keeping fans’ expectations tempered. What games from an established franchise have you played that a different developer created? Let’s chat about it in the comments below.